For any scene to survive and thrive, it requires the dedication and commitment of some of its members to spread the word. These folks, let’s call them “Champions of the Cause”, do everything in their power to spread the message and bring their little world to the masses. Brisbane’s good beer community is no different. If it wasn’t for the tireless effort of these champions, we would not be at the level we are today and experiencing the growth we are currently enjoying. We are quite lucky here; we have a very large number of brewers, bar owners, bar staff, event organizers, media folk, and punters that are willing to make their voice heard and help to further the cause. Darren Magin is one of the louder ambassadors and strives to really push good beer in the South East Queensland region with his blog, 250beers.com. Darren, like myself, is an expat. Coming to Australia in February 2008 from Kent, UK, he quickly became disenfranchised by the beer on offer: mainly XXXX, VB and Toohey’s. It was a simple, mixed 6 pack of beer as a thank you gift that started his journey towards better beer. “That was it for me… I made a note of those six beers… and just kept on making notes. I just wanted to explore this wonderful flavour of beer”, says Darren of that fateful six pack. From there, the 6 beer list, taken on a note pad, was added to and eventually transferred to a spreadsheet. That list has blossomed to over 1250 unique beers since its inception in October 2010 (the number is constantly growing. Check the full list here). When the beer tally had reached the milestone of 250 beers, Darren decided to start writing about his experiences and his blog was born. His first effort was actually a blog called “250 Beers in Under 2 Years”. Admittedly, this was a bit of a mouthful to say, so when he moved his writing to the WordPress platform in June of 2012, the name was shortened to simply “250 Beers”. Darren’s seen a large number of events and been involved in quite a few since that first 6 pack years ago. 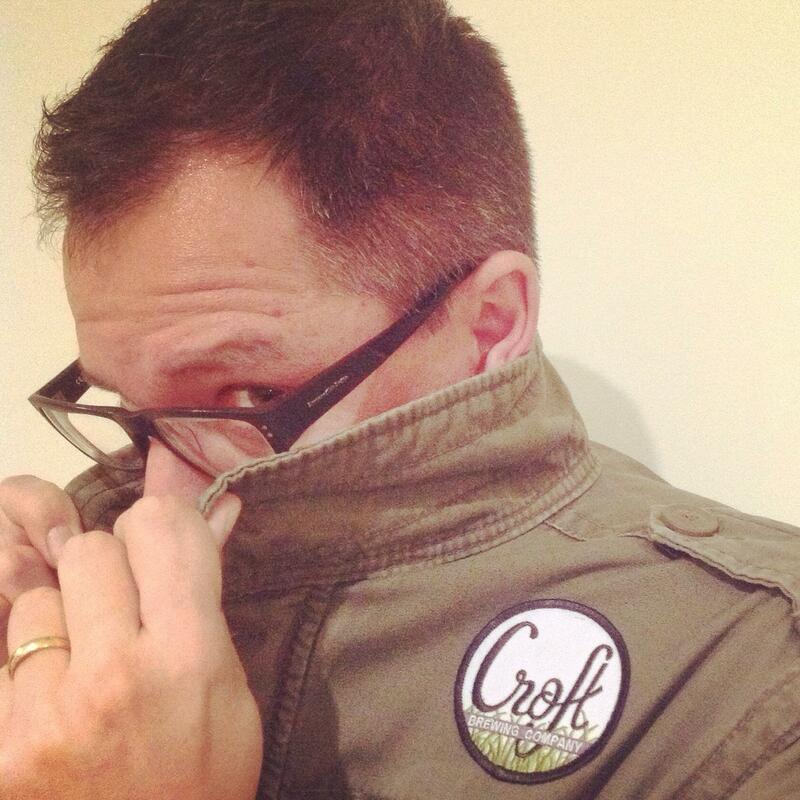 He’s been a judge at a blind beer tasting, invited to be part of the Stone & Wood Stone Beer brew day, and even been invited to be archived in the Pandora project, a kind of time capsule to what’s going on in the world of publication. When asked to pick his favourite moment, Darren states “I reckon that whole thing surrounding the Hair of the Blog was just awesome”. Hair of the Blog was a beer brewed for the Bacchus Beer Bloggers Series back in December 2013. 6 Brisbane bloggers (myself included) conceptualized a beer and went in to brew it at Bacchus’ headquarters in Capalaba (myself not included). “The comradery out of brew day that blossomed.. was excellent”. It’s not all smiles and sunshine, however. Being a beer blogger that lives in the northern suburbs can be a bit of a mission. The simple task of returning home safe and sound can sometimes be elusive. He’s been known to fall asleep on trains on the journey home and getting caught in torrential downpours upon returning from Brewsvegas this year. Finding time for the blog can also be a concern. Being a Dad and husband and holding down a 9-5 allows little time to write all the articles that he wants to. “I always try and review everything I get sent. A low point is sometimes not having the time to do what I want”. 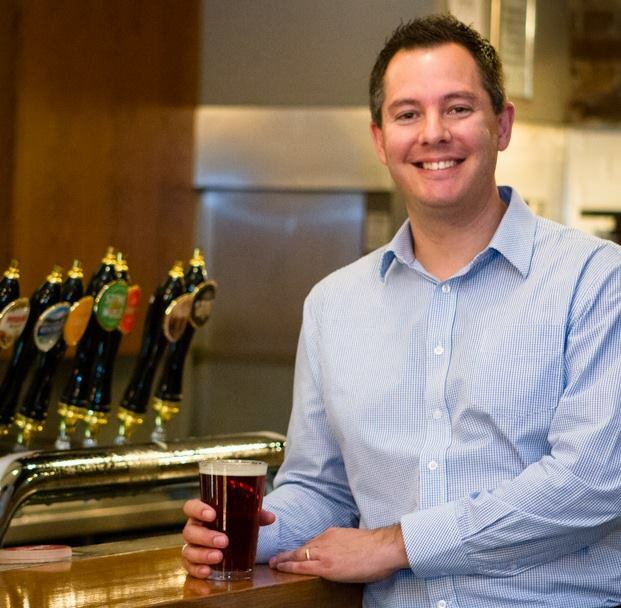 Despite a few hiccups along the way, Darren’s passion for beer in Brisbane hasn’t wavered. And he, in this bloggers opinion, is one of the biggest cheerleaders for the beer produced in this region. When asked where that passion comes from, Darren is quick to respond. “It all harps back to that six pack. I was stuck in such a European mass produced lager rut for so many years, that it became a little bit religious when I saw the light of good beer. There’s a lot of people that drink a lot of beer (and) spend a lot of money on beer. If they like to sit and socialize and drink beer, do it properly, especially since there are so many good local brewers. I just want to shout about good beer and good venues and trying to get people to explore (new beer)”. When asked what his favourite part about blogging in Brisbane is, Darren is not hesitant to mention the people he’s met along the way. “It’s the craft beer community it’s opened me up to… to be a part of it and to help push it.” On the flip side of the coin though, there are a few things that can grind his gears. Being pulled away from family duties tops that list, but an undercurrent of snobbishness that seeps into the beer community is another. “I dislike snobbishness. I also find some prices can be exorbitant. There are certain venues in town that don’t turn over stock particularly fast and still charge top dollar for a not very fresh beer. Aside from that, I’m a happy-go-lucky guy”. Just for a bit of fun, I asked Darren if he could have a beer with anyone dead or alive, who would it be and why as well as what kind of beer would it be and why. “I would always have an IPA. I’m a sucker for a big, hoppy, bitter, fruity IPA despite who it would be. Who I’d like to have a beer with… I’d love to have had a beer with maybe my grandad. I only really knew him as a kid, never knew him as an adult. That might have been cool. I’d definitely liked to have had a few jars with the Beatles in their heyday – swigging a nice, English bitter in the 60’s”. I’d like to thank Darren for being a great interviewee and putting up with my horrible interviewing skills. Despite a strict work schedule and busy beer schedule, you found time to chat to my lowly blog. It’s much appreciated and really just goes to show how much you care about furthering the beer community. Let’s hope others will read this and pass on a mixed six-pack to a friend or colleague! I’m an Account Manager for a leading print management company in Australia. My client is a Queensland icon and one of the largest financial organisations in the country. My extracurricular, barely-paid gig harping on about beer and Brisbane’s craft beer scene is much more enjoyable. 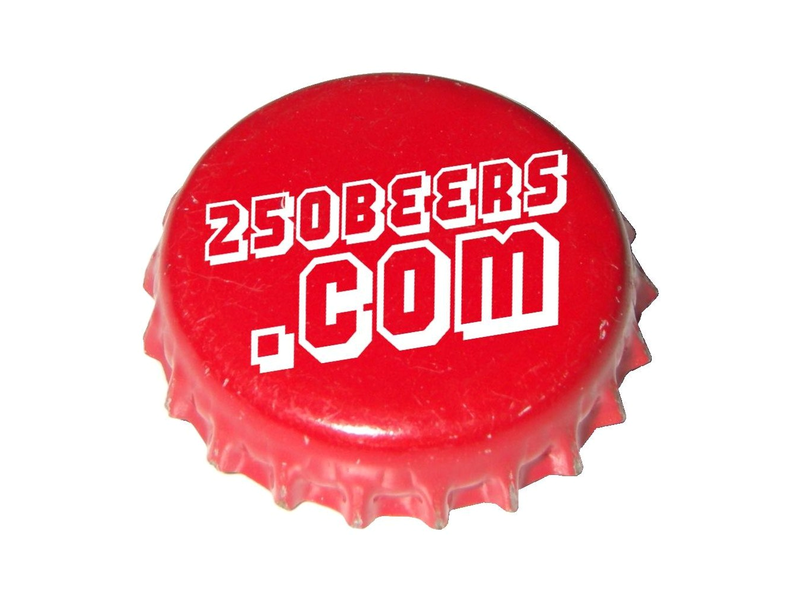 I have a blog called 250beers.com and occasionally contribute to the Crafty Pint as well as a small number of other publications. I’ve been in the print industry for 20 years! Ouch! Time for a change?! I’ve serviced my current client ever since I arrived in Australia (2008) but only since the beginning of August with my current employer. Print, printing, print industry etc in the UK. OK, so nobody wants to read about my print industry exploits so I’ll answer these questions with my blogging/writing head on henceforth. Hands down the best thing about my involvement with beer is the people that I’ve met since I started blogging. Brisbane boasts an amazing craft beer community from all walks of life and I wouldn’t change it for the world. Oh, and receiving beer in the mail is kind of cool. It’s a wonderful perk and one that I am always extremely thankful for. When asked what my address is, I always respond by including ‘250 Beers HQ’ as the second line. It makes me titter. I started to dabble with better beer just before I left the UK (I’m here on a witness protection program but don’t tell anybody). I’d been quaffing Euro lagers such as Heineken, Carlsberg, Stella Artois and Kronenbourg ever since my teenage years (think 17/18 not 13/14) and I had started to explore. However, it wasn’t until I got handed a mixed six-pack of Australian craft beers by a grateful client back in 2010 that my eyes were opened. These are the culprits: Boston’s Mill Pale Ale, James Squire Porter, Endeavour Amber Ale, Knappstein Reserve, Matilda Bay Beez Neez and something from Mildura but I can’t recall which one. However, many stand out. None more so than Tall Poppy from 8 Wired and Clown Shoes Muffin Top by Mercury Brewing. Tall Poppy is a perfectly balanced beer. Strong caramel and biscuit malts and a bitterness that makes me salivate just typing this. Muffin Top is a huge ten percent Belgian style IPA that boasts big, mandarin bitterness with a Belgian funk that really is something else. I never drink to get wasted however, I put away a large bottle of Muffin Top down my throat (excluding the bottle) in under 15 minutes once and I felt instantly pissed. I’m convinced it was stronger than ten percent. I have a secret stash of both of these beers. It has to be big, hoppy IPAs. I love the bitterness but crave the flavours and aromas found in bold American style IPAs. If I was handed a lump sum of cash for beer I would run to the nearest bar or brewery and spend it locally on locally produced beer or I might be inclined to donate it to a potential Brisbane beer bloggers conference that may or may not be occurring later this year. Yes, I have a large hoard of empty beer bottles and another of beer glassware. I wrote the question! Ha! Now, this is a tough one. My honest answer is…it depends what I’m doing and who I’m with. If I’m having beers with mates that don’t care much for craft beer then I’ll happily sit and enjoy a few Tooheys Olds at Grand Central Hotel. The social aspect of beer is important to me. If I’m on the hunt for a specific beer or, more to the point, chasing one down then I’ll head somewhere just for that beer. We all do that right? If I’m with like-minded geeks then every single venue selling craft beer ticks a box for me. Cop out? Absolutely. I’m still coming around to the concept of craft beer in cans despite cutting my teeth on cans of lager during my early beer drinking days in London. I liked ‘Toybox’ Dave’s response to this question. I agree with him that there is a certain romance associated with a bottle of beer. I hope that more and more venues open up to the idea of serving locally produced beer. There are enough breweries in and around Brisbane now churning out bloody good beer that it cannot be ignored. I think if bloggers, educators etc keep doing what they’re doing to promote what we have here then the movement will continue to flourish. In the print industry. Ha! No, stuff that. I would love to have the balls to run my own bar. I have a niche concept for one – I just need a financial backer or two. If anybody reading this is intrigued enough to have a chat about assisting then please feel free to drop me a line. I hope those of us that have been blogging for longer than 18 months (the average lifespan of a blog) have inspired the inception of one or two listed above. We have shitloads of beer bloggers in Brisbane – the more the merrier in my opinion. The more people there are that like to shout about our wonderful city and its venues, breweries and craft beer community in general, the better it is for all of us in the long run. Cheers Jason – you’re as much a Champion as I.
I think the next natural step in the 250 Beers story is starting a Brisbane-based podcast. You might need to clone yourself first though, it sounds like you’re already pretty stretched for time! Daz’s fuddled ramplings in audio… I’d listen to that! It’s been mooted Sam but yes, cloning would be a priority.